As an authorized Elliott dealership, ML Utilities carries OEM parts for your Elliott utility equipment. Elliott's line of telescoping work platforms and cranes -which now numbers more than 40 models, helps workers do an amazing array of jobs. 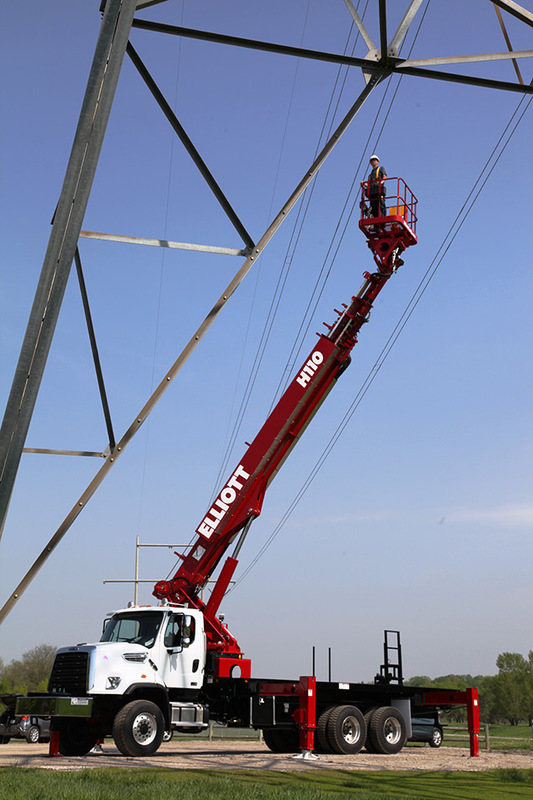 From the original Hi-Reach to the Skywalk and BoomTruck and E-Line, Elliott products are used by leaders in electrical utility industries. You’ll find Elliott products working hard, everyday, around the world. Today, Elliott Equipment Company proudly carries on a sixty-year tradition – relying on people who are dedicated to the highest standards for quality, safety and durability, working to design and build the best equipment available; and keeping you working safely and efficiently. ML Utilities also rents a variety of Elliott utility equipment including aerial devices, boom trucks, non-insulated aerial devices, pressure diggers and more.